Buying a used car means that you can get a great model for a great price that fits your budget. But sometimes used vehicles come with some minor issues left behind by their previous owners, particularly if they used to smoke in the car. Smoke permeates soft surfaces and stays within the fibers of upholstery. So how do you remove that smoky smell from your car? Learn how with the help of Dakota Chrysler Center. Thoroughly vacuum the carpet and upholstery as thoroughly as possible. Make sure you get under the seats and in-between the crevices as well. This will clear out any ash or debris left behind from smoking. Vacuum the upholstery and carpet as thoroughly as you can. Be sure to get under the seats and in crevices of the seats too, as old ash could be sitting in those areas. Next, sprinkle baking soda all over the upholstery and the carpet, and let it sit for a while. The baking soda is an odor neutralizer and captures unpleasant scents. After the baking soda has sat for some time, take the vacuum and clean it up. If you notice that the scent is still lingering, sprinkle small amounts of baking soda to help remove the scent further. If you choose, you can also leave an open box of baking soda in your vehicle overnight to help absorb the smell. The smell of smoke can also permeate into leather, and leave a residue on other surfaces. In order to remove the smell from leather and trim, you will need a special cleaner that’s specifically formulated for the surface you are planning on cleaning. For example, use a cleaner specifically made for leather or for your car’s dashboard. Clean the surfaces multiple times, as the smoke smell can get deep within the surface of leather and trim. Multiple cleanings can ensure you’ve fully removed the scent and the residue left behind. What About Other Areas in Your Car? After you have cleaned your upholstery, carpet, and trim, it’s time to turn to other surfaces in your vehicle. Make sure you wipe down your windows, the front and back windshield, and replace the air filter in your car, as the smell of smoke can also get into the air vents. as the smoke residue will linger on these surfaces and could create a foul smell. 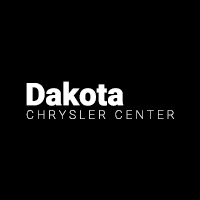 If you’re ready to look for the perfect used or new vehicle in the West Fargo or Breckenridge area, head to Dakota Chrysler Center for all of your automotive needs. Get in touch with our staff today to set up a test drive, or to schedule service.